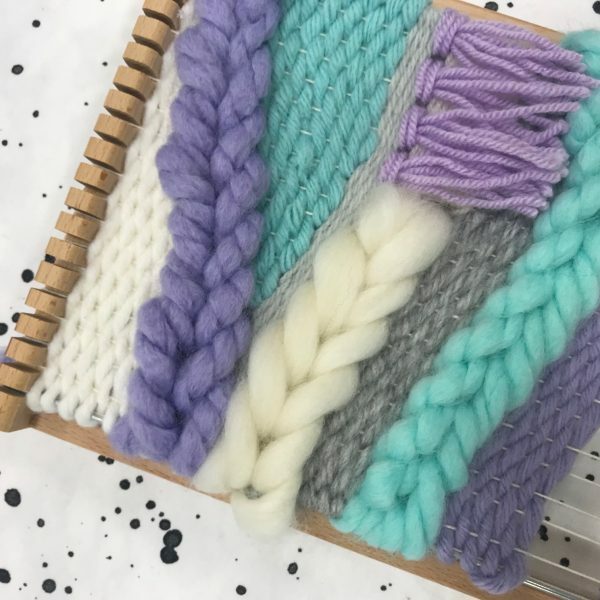 Weaving is such a relaxing craft – building up layers of yarn to create a finished piece. It’s like painting with yarn! During this three hour beginner’s workshop you will learn how to warp your loom, how to do plain weave, how to do soumak weave and rya knots, how to create geometric shapes within your weaving, as well as learning lots of tips and tricks to help get your weaving looking amazing. 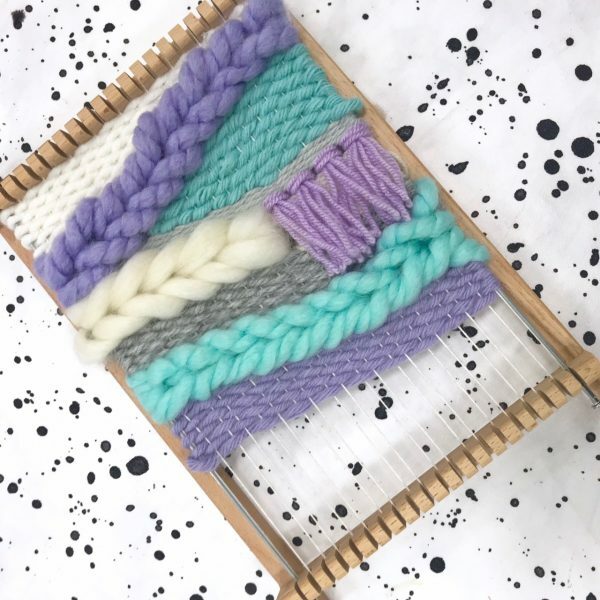 You’ll be able to choose from a huge selection of yarns in a wide range of colours and textures, to create a woven wall hanging that is totally unique! Price includes all the materials you need to make a wall hanging, plus a tote bag to carry your work home in. Our classes are relaxed and friendly, taking place at our beautiful studio at Holme Grange Craft Village in Wokingham, Berkshire and include free tea, coffee and of course biscuits! There is a beginners crochet class before this weaving class – book both and save 15% with the code YARNDAY at checkout. More questions? Take a look at our Class FAQs – these also include our Class Cancellation Policy. Keep up-to-date with new products and special offers. We love seeing your makes so don’t forget to use #mysewisfaction to show off your projects!